If there is one thing that many modern people find difficult about the Bible, it is this: it's hard to imagine that stories written thousands of years ago have the ability to guide our lives today. And this is certainly true about the accounts of Abraham in the Bible. Abraham himself lived about four thousand years ago, and the stories about him were written nearly 3,600 years ago. But as followers of Christ, we are committed to the fact that these stories are part of Scripture and therefore are profitable even for modern people. But even with this commitment the question still remains: how do these stories about Abraham apply to our lives today? How do we bridge that 4,000-year gap separating us from Abraham? We have entitled this series, Father Abraham, because we are exploring the life of Abraham as it appears in the book of Genesis. 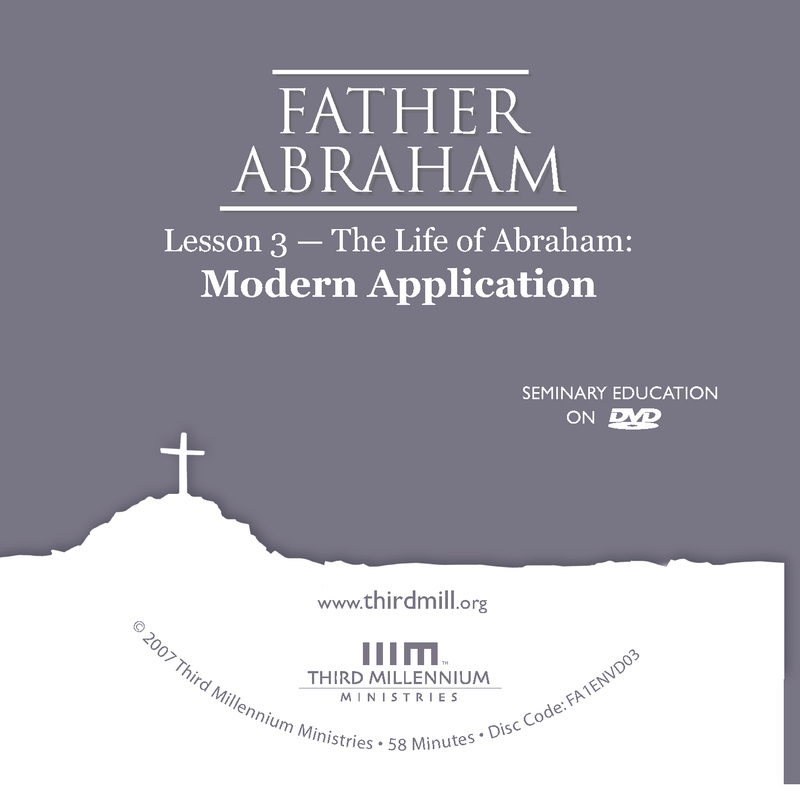 This lesson is the third of three introductory lessons in this series, and we have entitled it, "The Life of Abraham: Modern Application." In this lesson, we will conclude our overview of Abraham's life by concentrating on the proper way to draw modern applications from the chapters in Genesis that speak of Abraham. How should we apply the stories about Abraham to our lives? What kinds of impact are they to have on us today? To understand how the life of Abraham applies to our world, we will look in two basic directions. First, the connections that exist between Abraham and Jesus, and second, the connections that exist between the original audience of Israel and the modern audience of the church. Before we look at the modern application of Abraham's life we should take a moment to review what we have seen in previous lessons.  We have learned that the story of Abraham divides into five symmetrical steps. First Abraham's life begins with Abraham's background and early experiences in 11:10–12:9. Second, several episodes concentrate on Abraham's earlier interactions with representatives of other peoples in 12:10–14:24. The third and central segment focuses on the covenant that God made with Abraham in 15:1–17:27. The fourth section turns to Abraham's later interactions with representatives of other peoples in 18:1–21:34. And the fifth segment deals with Abraham's progeny and death in 22:1–25:18. These five sections present the patriarch's life in a symmetrical pattern. The third section, which deals with God's covenant with Abraham serves as the centerpiece of Abraham's life. The second and fourth sections compare to each other as they both focus on Abraham's interactions with other peoples. And the first and last sections correspond to each other by providing bookends to Abraham's life, tracing his family line from the past and into the future. Beyond the basic structure of Abraham's life, we have also seen in previous lessons that Moses had a purpose in writing Abraham's life. Moses wrote about Abraham to teach Israel why and how they were to leave Egypt behind and to continue toward the conquest of the Promised Land. In other words, by seeing the historical backgrounds of their lives in Abraham, by finding models or examples to follow and reject in Abraham's stories and by discerning how Abraham's life foreshadowed their own lives, the Israelites, following Moses could see the ways they were to pursue God's purpose for them. With this review of previous lessons in mind, we are now ready to turn to the modern application of Abraham's life story. Let's look first at the connections that exist between Abraham and Jesus. Unfortunately, many times Christians apply Abraham's life more or less directly to modern lives. We approach the stories of Abraham as simple moral stories that speak directly to our lives. As Christians however, we know that our relationship with Abraham is mediated; Abraham's life is relevant for us because we have been joined to Abraham's special seed, Christ. Christ stands between us and Abraham. And for this reason, we must always view the biblical stories about Abraham in the light of Christ and what he has done. To understand the connections between the patriarch and Christ we will touch on two issues. On the one hand, we will explore how the New Testament teaches that Christ is the seed of Abraham. And on the other hand, we will see how the four major themes we have noticed in the life of Abraham apply to Christ as the seed of Abraham. Let's look first at the concept that Jesus is Abraham's seed. Now there is a sense in which Abraham is the father of all believers throughout history — men, women and children. We are all a part of his family, his children and his heirs. But as we will see, the New Testament makes it very clear that we enjoy this status because we have been joined to Christ who is the special seed of Abraham. To grasp how the Scriptures teach this perspective we will touch briefly on two matters. First, the singularity of the concept of "seed". Second, the concept of Christ as the unique seed of Abraham. The promises were spoken to Abraham and to his seed. The Scripture does not say "and to seeds," meaning many people, but "and to your seed," meaning one person, who is Christ (Galatians 3:16). In this passage, Paul referred to the fact that in Genesis God made promises to Abraham and to his seed, or offspring. But notice how Paul commented specifically on the expression "seed," saying that God did not make promises to Abraham and to his seeds — that is, to many people — but to Abraham and his seed, that is to one person, Christ. Paul argued this way by noting that the Hebrew word zera which is translated "seed" is a singular word. The same was true for the Greek word sperma in the Greek translation of the Old Testament available in Paul's day. As Paul noted, God did not say to Abraham that the promise was to Abraham and his seeds (in the plural) but to his seed, in the singular. Now on the surface, it would appear that Paul's point of view was straightforward. Abraham's inheritance came to just one seed, or one descendant because the word is singular. But Paul's argument about the singularity of the word "seed" has raised all kinds of difficulties for interpreters. The problem may be put in this way. It is true that the word "seed" or zera is singular in form, but many times in the Old Testament, including in the stories of Abraham's life, the word "seed" in its singular form must be taken as a collective singular in meaning, a singular word that refers to a group. The Hebrew word zera or "seed" is much like our English word "offspring." 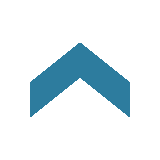 Even though this word is singular in form, it can refer to just one offspring or "descendant" or it can refer collectively to many offspring or "descendants." For instance, the term "seed" or zera is definitely plural in meaning in Genesis 15:13. There we read these words that God spoke to Abraham. "Know for certain that your descendants will be strangers in a country not their own, and they will be enslaved and mistreated four hundred years" (Genesis 15:13). Here, the word "descendants" translates the singular Hebrew word zera, but the word is clearly plural in meaning. This verse speaks of the seed as "their own" in the plural, and the verbs "they will be enslaved and mistreated" are also plural in Hebrew. You are Abraham's seed, and heirs according to the promise (Galatians 3:29). In the Greek of this verse, the phrase "you are" translates este, a plural verb. And "Abraham's seed" is synonymous with the word "heirs," kleronomoi which is also plural. "By myself I have sworn, declares the Lord, because you … have not withheld your son, your only son, indeed I will greatly bless you, and I will greatly multiply your seed as the stars of the heavens and as the sand which is on the seashore; and your seed shall possess the gate of his enemies. In your seed all the nations of the earth shall be blessed, because you have obeyed my voice" (Genesis 22:16-18, literal). Unfortunately, many modern translations render this passage as if "seed" were a collective singular. But we have to remember that this verse is part of the story of the sacrifice of Isaac. And here the word "seed" referred not to Abraham's descendants in general, but to Isaac, Abraham's son. The verb, "shall possess," is singular in the Hebrew, and notice also that the pronoun in the phrase "his enemies" is singular. As we will see in later lessons, Genesis 22 and the chapters that follow spend time distinguishing Isaac, the son of Sarah, from his other sons, the son of Hagar, and the sons of Keturah. Isaac was the special seed of promise, the one whom God had chosen as Abraham's only heir. So, before Isaac's birth, Genesis usually speaks of Abraham's "seed" as a collective, meaning "descendants" in the plural, but here the word has a focus on Isaac as the special singular descendant who would inherit Abraham's promises. In this light we can understand Paul's basic point when he referred to the single seed of Abraham. Paul noted that in Genesis 22 God did not make promises to Abraham and directly to all of his descendants. He pointed out that the singularity of the word "seed" in Genesis 22:16-18 indicates that the promises were passed to Isaac, Abraham's special son and heir. With the singularity of the seed of Abraham in mind, we should now turn to the teaching that Christ is the seed of Abraham. Listen again to what the apostle said in Galatians 3:16. The promises were spoken to Abraham and to his seed. The Scripture does not say 'and to seeds,' meaning many people, but 'and to your seed,' meaning one person, who is Christ (Galatians 3:16). In this passage Paul not only drew attention to the fact that the seed of Abraham was singular but that the one seed of Abraham is Christ. Now, as we have already seen, in terms of the original meaning of Genesis the singular seed of Abraham of whom Moses wrote was none other than Isaac, the special son of promise born to Sarah. How then should we understand Paul when he wrote that Abraham's one seed is Jesus? Think of it this way. Abraham's inheritance was a family inheritance that belongs to his descendants. But at a number of crucial points in the history of Scripture, God chose several key figures to serve as special heirs who received and distributed Abraham's inheritance to others. In the case of Isaac, he was the special seed in distinction from Abraham's other sons. When Isaac had two sons, Jacob and Esau, God chose Jacob to be the special seed of Abraham and excluded Esau and his descendants. From Jacob came the twelve patriarchs of the tribes of Israel. But among the tribes of Israel several figures were special heirs of Abraham. Moses, for instance, was the leader and mediator of God's people as they moved from Egypt to the Promised Land. And later, as Israel became a full fledge empire, David and his sons held the special role of mediating the inheritance of Abraham. It is this special role of David and his sons that led Paul to refer to Christ as the last great seed of Abraham because Jesus is the rightful heir of David's throne. He was chosen by God to be the permanent king of his people. He is the great eternal royal seed of Abraham, the Messiah. And as such, Christ is the only one through whom anyone else can participate in Abraham's inheritance. No one separated from Christ will ever receive the promises of Abraham. To understand how Christ is the final seed of Abraham, it helps to think of his role in terms of the three stages of the kingdom of salvation that he brought to the world. So, we can summarize Jesus in relation to Abraham in this way. From a Christian point of view, Jesus is the unique, final seed of Abraham. And as Christians when we want to apply the life of Abraham to the modern world, we must always keep in mind that the connection between Abraham and our world is that Abraham's great blessings are passed to Christ as he inaugurated his kingdom, as he continues to build his kingdom now and as he will bring his kingdom to its consummation. The New Testament teaches that Christ receives and distributes Abraham's inheritance in three main stages. First, in the inauguration of his kingdom that occurred in his first coming; second, in the continuation of his kingdom that extends to all of history after his first coming but prior to his return; and third, at the consummation of his kingdom in his glorious second coming. He continues to receive and distribute Abraham's inheritance in increasing measure as he reigns over all at the right hand of God the Father. And he will one day fully receive and fully distribute Abraham's inheritance when he returns in glory. In a word, it is important to realize that in Galatians 3:16 Paul encapsulated a rather complex theological outlook in just a few words. When Paul said that the promise was to Abraham and his singular seed, and then identified that seed as Christ, he was not saying that the word "seed" in Genesis referred directly to Jesus. Instead, Paul spoke in an abbreviated fashion of a typology that exists between Isaac and Christ. To state the matter more fully, we could put it this way: like Isaac was the chief heir of Abraham in his generation, Christ is Abraham's greatest son, and the chief heir of Abraham in the New Testament age. To see more fully the significance of Christ as the seed of Abraham, it will help to explore these matters in terms of the four major themes that we have seen in Abraham's stories. You will recall that we have seen four major themes in these chapters of Genesis: divine Grace, Abraham's loyalty, God's blessings to Abraham, and God's blessings through Abraham. How should we understand these motifs in light of the connections that exist between Abraham and Christ? In the first place, we have seen that God demonstrated much grace in Abraham's life. Of course, Abraham had to have personal grace because he was a sinner, but beyond this, God's mercy toward Abraham was also an objective display of God's kindness. By building a relationship with Abraham, God actually furthered the redemption of the entire world. Now as much as God showed kindness in Abraham's life, as Christians we believe that the grace of God toward the patriarch was little more than a shadow of the mercy God displayed in Christ. Of course, Christ himself was without sin so he did not receive saving grace himself, but still the coming of Christ as the seed of Abraham was a great objective act of God's mercy to the world. God demonstrated much mercy in Christ's first coming, the inauguration of the kingdom. His life, death, resurrection, and ascension and the outpouring of the Holy Spirit were magnificent displays of God's grace. And God extends even more mercy as Christ reigns now in heaven, during the continuation of His kingdom. As salvation has spread throughout the world, God has demonstrated the kindness revealed in Christ in the undeniable transformation of the world throughout history. And when Christ returns, the consummation of the kingdom will bring immeasurable mercy. Christ will return and bring a new heavens and a new earth. As followers of Christ, every time we see God showing kindness in the stories of Abraham, our hearts and minds should turn to the mercy God revealed in these three stages of His kingdom in Christ. In the second place, another important theme in Moses' presentation of Abraham's life was Abraham's loyalty to God. Initially, God required Abraham to fulfill the responsibility of migrating to the Promised Land. But God also required many other things of Abraham throughout his life. As Christians when we read about the responsibilities Abraham faced, we should find our hearts and minds moving toward Christ the seed of Abraham and toward his loyalty to his heavenly Father. And of course, Christ was loyal to the Father in all three stages of his kingdom. In the inauguration of the kingdom, Christ himself proved to be utterly faithful to God's requirements of loyalty. Although Abraham was loyal to God in very significant ways, Christ was perfectly faithful at every moment of his life. And beyond this, as king over all during the continuation of the kingdom Christ remains true and faithful to his heavenly father. He reigns over all serving the purposes of God perfectly by extending the gospel and the redemption of his people. Finally, when Christ returns at the consummation of the kingdom he will finish the works of righteousness he began in his life on earth. He will destroy all of God's enemies and make all things new for the glory of his father. So, every time we see the theme of Abraham's loyalty to God we know that as Christians we can properly apply these matters to the modern world only as we connect them properly to Christ, the seed of Abraham. In the third place, as Christians we are not only interested in seeing how these themes of divine grace and human loyalty apply to our day in Christ, we are also keenly interested in the third main theme of Abraham's life: the blessings of God to Abraham. God told Abraham that Israel would become a great nation, that prosperity would come to the nation in the land of promise, and that Abraham and Israel would have a great name, worldwide notoriety. Now, once again as Christians our minds should move toward the blessings that God gave to Christ, Abraham's seed. At his first coming, Christ was raised from the dead and received all authority in heaven and earth; and there is no name in heaven and earth that is as great as the name of Jesus. Jesus continues to enjoy the increase of blessings now during the continuation of the kingdom. He gains more and more glory for himself as he rules the world according to the will of God. But in the consummation, when Christ returns in glory he will enjoy these blessings beyond measure. He will be exalted over all and every knee will bow to him, the great son of Abraham. So it is that whenever we see Abraham receiving blessings from God, our eyes should turn toward Christ who inherits Abraham's promises and enjoys God's blessings in even greater measure. It was not through law that Abraham and his offspring received the promise that he would be heir of the world, but through the righteousness that comes by faith (Romans 4:13). Notice here that when God promised Abraham that he would bless all nations, he promised that this would come about by Abraham taking possession of all nations and spreading the kingdom of God to all the world. Abraham and his offspring were to be heirs of the world, with all the nations under their headship. As Adam and Eve were originally told to subdue the entire earth, God promised that Abraham and his descendants would inherit the entire earth by spreading God's blessings to all the families of every nation. The promise that Abraham would be a blessing to all nations is ultimately fulfilled in the inauguration, continuation and consummation of Christ's kingdom. So, we can sum up the matter in this way. Proper modern application of Abraham's life to our world must always involve at least an implicit recognition of the role of Christ as Abraham's seed. As the special seed of Abraham, Christ is the one who fulfills or completes the themes we encounter in Abraham's life. God's mercy is shown in Christ; true and perfect loyalty is found in Christ; Christ receives all the blessings promised to Abraham, and in Christ we see the spread of Abraham's rich blessings to the ends of the earth. Whatever else we may say about modern application, it is essential that we remember these connections between Abraham and Jesus. Now that we have seen how the relationship between Abraham and Jesus forms a vital connection between the stories of Abraham and our world today, we should turn to a second aspect of modern application, the connection between Israel and the Church. We must always remember that when Moses first composed his account of Abraham's life, he wrote about these things to encourage the people of Israel to leave Egypt behind and to enter into the conquest of the Promised Land. They were to find the historical background of this vision in Abraham's life; they were to fulfill it by finding examples to follow and to reject in the stories of Abraham's life; and they were even to see foreshadows of their experiences in Abraham's life. For this reason, if we are going to see how the stories of Abraham apply to the modern world, we must take into account what the New Testament teaches about the connections between the nation of Israel following Moses and the Christian church today. To explore this relationship between Israel and the church, we will touch on two topics that parallel our previous discussion. First, we will explore further the theme of the seed of Abraham as it applies to the nation of Israel and to the church of Christ. And second, we will see how the theme of Abraham's seed is expressed in the four major themes of the stories of Abraham's life. Let's look first at Israel and the church as the seed of Abraham. To see the connections between Israel and the church as the seed of Abraham we will touch briefly on four matters. First, we will see the numerical breadth of Abraham's seed. Second, we will take notice of the ethnic identity of his seed. Third, we will focus on the spiritual character of Abraham's seed. And fourth, we will look at the historical situation of Abraham's seed. Consider first the numerical breadth of the seed of Abraham. As Paul made clear in this passage, we are connected to Abraham because we are joined to Christ. We, like the nation of Israel in the Old Testament, are the seed of Abraham. For this reason, Abraham's stories do not simply apply to Christ himself, but also to the breadth of the many children of Abraham who are identified with him in the church. Now beyond the fact that the seed of Abraham was Israel in the Old Testament and the Christian church today, we should also comment on the ethnic identity of Abraham's seed in both Testaments. As we have seen, the stories of Abraham were written in the first place for the nation of Israel who followed Moses. While it is certainly true that the vast majority of the original audience consisted of ethnic Jews, that is Abraham's physical descendants, it is a mistake to think that the original audience was entirely or purely Jewish. The vast numbers of people who followed Moses were a mixture of Jews and Gentiles who had been adopted into Israel. As a result, on a number of occasions, the Scriptures make it clear that the original audience of Genesis was not exclusively Jewish. Many other people went up with them, as well as large droves of livestock, both flocks and herds (Exodus 12:38). Notice here that included among the Israelites were "other people." This company consisted of Gentiles who had joined with Israel and left Egypt with them. This group is mentioned on a number of occasions in Scripture. In much the same way, later portions of the Old Testament reveal that well-known Gentiles like Rahab and Ruth were engrafted into Israel in later generations, and the genealogies of 1 Chronicles 1–9 include Gentile names among God's people. So we see that the seed of Abraham to whom Moses originally wrote the stories of Abraham was ethnically mixed. It included Abraham's physical descendants and Gentiles who had been adopted into the family of Israel. Both groups learned about their future in the Promised Land through the stories of Abraham. In much the same way, the Christian church today is ethnically diverse. It consists of Jews who claim Christ as their Lord and Gentiles who have been adopted into the family of Abraham because they too claim Christ as Lord. Now, to be sure, as history has unfolded the New Testament church has grown to have more adopted Gentiles than fulfilled Jews, but the ethnic diversity of Abraham's seed is still a reality today as it was in the Old Testament. So, just as Abraham's stories were first given to Jews and Gentiles counted as Abraham's seed, we must be ready to apply Abraham's stories to Jews and Gentiles today who are now counted as Abraham's seed because they are in the church throughout the world. This is a very important aspect of modern application because so many Christians have endorsed the false teaching that the promises given to Abraham are to be applied only to ethnic Jews today. In this view, God has a separate program for Gentile believers. Apart from a few spiritual principles here and there, Gentile believers are not the heirs of the promises given to Abraham. Now as popular as this outlook may be, we must always remember that the seed of Abraham was ethnically diverse in Moses' day and that the seed of Abraham today continues to be an ethnically diverse people. What Moses taught the nation following him applies to the continuation of that nation today, the church of Jesus Christ. In the third place, modern application of Abraham's life must also take into account the spiritual character of Israel and the church as the seed of Abraham. As we have seen, the Old Testament identifies the visible nation of Israel as the seed of Abraham, the corporate seed of Abraham, but we need to realize that there was spiritual diversity within the visible nation of Israel. There were both unbelievers and true believers. The record of the Old Testament makes it very clear that many of the men, women, and children in the nation of Israel did not truly believe, but others were true believers who trusted the promises of God. To be sure, everyone in Israel, both believers and unbelievers, received many special temporary blessings from God. All of them had been delivered from slavery in Egypt; they were all brought into covenant relationship with God at Sinai; they all had many opportunities for faith and they all were offered entry into the Promised Land. But there were important differences as well. On the one hand, unbelievers within Israel showed the true character of their hearts by infidelity. And the stories of Abraham were designed to call them to true repentance and saving faith. On the other hand, true believers within Israel believed the promises of God and demonstrated the true character of their hearts by their fidelity. The stories of Abraham were designed to encourage these true believers to grow in their faith. Now due to their infidelity, unbelievers within Israel only received temporary blessings. But in eternity they would receive God's final, eternal judgment. It was the true believers who were Abraham's true seed, his spiritual descendants, the children who not only enjoyed many temporary blessings but would also one day receive the eternal blessing of Abraham's inheritance in the new heavens and new earth. Paul argued this outlook rather forcefully in Romans 9:6-8. Listen to what he said there. For not all who are descended from Israel are Israel. Nor because they are his descendants are they all Abraham's children. On the contrary, 'It is through Isaac that your offspring will be reckoned.' In other words, it is not the natural children who are God's children, but it is the children of the promise who are regarded as Abraham's offspring (Romans 9:6-8). Well, it isn't difficult to see that the same kind of spiritual diversity also exists in the church of Christ. Those who are associated with the visible church in the New Testament through baptism consist of two kinds of people: unbelievers and believers. Of course, just as all in Old Testament Israel enjoyed many temporary privileges because of their association with God and his people, there are many temporary blessings for all people involved in the church of Christ. They have a loving community; they have the word of God and the sacraments; they have the gospel explained and offered to them. But many within the visible church show the true character of their hearts by their infidelity. And the stories of Abraham are to be applied to these unbelievers in the church by calling for true repentance and saving faith. But also within the visible church are true believers who trust the promises of God and demonstrate the character of their hearts by their fidelity. The stories of Abraham are to be applied to these true believers by encouraging them to grow in their faith throughout their lives. Now due to their infidelity, unbelievers within the church will only receive temporary blessings. In eternity, they will receive God's eternal judgment. But the true seed of Abraham, the true children of Abraham, those who have trusted in Christ will not only receive many temporary blessings, but will also one day receive their eternal reward, Abraham's inheritance in the new heavens and new earth. Was not our ancestor Abraham considered righteous for what he did when he offered his son Isaac on the altar? You see that his faith and his actions were working together, and his faith was made complete by what he did (James 2:21-22). James' main idea here was that the stories of Abraham challenge unbelievers in the church to turn from their hypocrisy and they encourage true believers in the church to continue to express their faith through faithful living. And we must follow James' example by recognizing the spiritual diversity of the church today as we make modern application of Abraham's stories. In the fourth place, to apply Abraham's life to the modern world, we must also remember that there is significant similarity between the historical situations of Israel following Moses and the Christian church today. You will recall that Moses wrote about the life of Abraham to Israelites who were on a journey. Whether he wrote for the first or second generation of the exodus, his original audience traveled between two worlds. On the one hand, they had left slavery in Egypt. But on the other hand, they had not yet entered the promised land of Canaan. Or to put it another way, the nation of Israel had received initial deliverance from their old world, but they had not yet entered into their new world. And as a result, Moses wrote to Israel to encourage them to discard all of their attachments to Egypt and to move forward toward victory in the land. The historical situation of the original audience is important for modern application because the Christian church today is in a parallel historical situation. Just as Israel had been delivered from slavery in Egypt but was still headed toward a glorious life in the Promised Land, the church of Christ has been delivered from the dominion of sin by the work that Christ did when he was here on earth, but it is still headed toward the glory of the new creation that will come when Christ returns. These parallel situations provide us with a frame of reference for making applications of Abraham's life to the church today. Just as Moses wrote about Abraham to encourage and guide Israel on her journey from one place to the other, his stories encourage and guide us on our journey from the world of death to the new world of everlasting life. We can be sure that these historical parallels provide us with this kind of orientation toward application because the apostle Paul drew upon them as he applied the Old Testament to the church at Corinth. Listen to the way he noted the historical parallels between Moses' audience and the church in 1 Corinthians 10:1-6. For I do not want you to be ignorant of the fact brothers that our forefathers were all under the cloud and that they all passed through the sea. They were all baptized into Moses in the cloud and in the sea. They all ate the same spiritual food and drank the same spiritual drink for they drank from the spiritual rock that accompanied them and that rock was Christ. Nevertheless, God was not pleased with most of them. Their bodies were scattered over the desert. Now these things occurred as examples to keep us from setting our hearts on evil things as they did (1 Corinthians 10:1-6). Put simply, Paul noted that the Israelites following Moses through the wilderness had experienced things that paralleled the experiences of Christians. They had been delivered by Moses as we have been delivered by Christ. They had been baptized in Moses as Christians have been baptized in Christ. They ate manna and drank water from God much like Christians eat and drink in the sacrament of the Lord's Supper. Yet, these early experiences of grace set Israel into a period of probation, a period of testing as they moved toward the Promised Land. And sadly, in the days of Moses God was not pleased with most of the Israelites and they died in the wilderness. So Paul concluded that Christians should learn from Israel's experience the nature of their journey as the church. From Paul's example, we can learn much about how to apply Abraham's life to the Christian church. Moses' stories of Abraham's life encouraged Israel to remain faithful as they looked back at what God had done in delivering them from Egypt and as they moved forward toward the Promised Land. In much the same way, we should apply Abraham's stories to the church today in ways that encourage us in our journey. We must remain faithful to Christ because of what he has done in the inauguration of the kingdom. We must continue to be faithful to him as his kingdom grows in our day and we must long for the day when our spiritual journey is over, when we enter into the new heavens and new earth. So we see that as we move toward modern application of the life of Abraham, we should not only concern ourselves with the connections between Abraham and Jesus. We must also give attention to the connections between the nation of Israel who first received the stories of Abraham and the Christian church. Old Testament Israel and the New Testament church are the seed of Abraham; we both are of mixed ethnic identity; we are both spiritually diverse and we are both on a journey toward the goal of the glorious kingdom of God. Having seen that the stories of Abraham's life apply to the Christian church as the continuation of Abraham's seed in the world today, we should also see how this process of application touches on the four major themes of the chapters given to Abraham's life. What do these motifs have to say about our daily lives in Christ? As you will recall the stories of Abraham touch on four main issues: divine grace, Abraham's loyalty, God's blessings to Abraham, and God's blessings through Abraham. In the lessons that follow, we will point out again and again how these themes speak to our lives as Abraham's seed. At this point, we will briefly offer some general directions we should follow. Consider first the theme of divine grace. For it is by grace you have been saved, through faith — and this not from yourselves, it is the gift of God — not by works, so that no one can boast (Ephesians 2:8-9). Salvation in Christ is God's gracious gift; even the faith we have comes from him. We depend so much on God's mercy that every day of our Christian lives we are to continue to live in that mercy. Without God's sustaining grace, all of our efforts to remain faithful are futile. For this reason, just as the Israelites following Moses should have learned the wonder of God's grace in their lives as they heard the stories of Abraham's life, every time we read of God showing mercy to Abraham, as followers of Christ, both together and as individuals, we have opportunities to learn how to be grateful for what God has done for us. God has shown much mercy to us and we must learn how to seek and depend on his mercy. In much the same way, the theme of Abraham's loyalty also applies to followers of Christ on many levels. As we read the life of Abraham, we see many situations in which Abraham was commanded to serve God in obedience. Of course, he did not reach perfection in this life, but he did show the fruit of true faith. Now, it is important to remember that even in the Old Testament, faithful obedience was always based on the mercy and grace of God. So, we must not mistake this emphasis as some form of legalism. Nevertheless, just as in the Old Testament, true believers today are expected to respond to God's grace with faithful service to God. This is why the New Testament frequently emphasizes the responsibility of loyalty for followers of Christ. Listen to the way Paul connected grace and loyalty in Ephesians 2:8-10. For it is by grace you have been saved, through faith — and this not from yourselves, it is the gift of God — not by works, so that no one can boast. For we are his workmanship, created in Christ Jesus to do good works, which God prepared in advance for us to do (Ephesians 2:8-10). As verse 10 makes clear, Christians today have the responsibility to perform good works. God grants us saving faith so that we will be faithful to him. So, every time we see how Abraham's life raises issues related to human loyalty, we are in a position to apply those moral responsibilities to our lives. In the third place, we should also be cognizant of the ways in which the blessings given to Abraham apply to the Christian life. You will recall that God promised great blessings to Abraham and his seed. Ultimately, they would become a great, prosperous nation of grand renown. And throughout the stories of Abraham we find times when God blessed the patriarch with foretastes of these ultimate blessings. Just as the original audience of Israel could see the promises to Abraham being fulfilled in their lives as they waited for their ultimate blessings, as Christians today we experience many foretastes of these same blessings here and now as we wait in hope for the day when they will come to us in all of their fullness. The blessings we see in this life can give us much encouragement as we live our daily lives in hope of the ultimate blessings that will be ours when Christ returns. Finally, as Abraham's stories focus on the blessings God would give to the world through Abraham, Christians also have opportunity to reflect on the blessings that come through us to the world. You will recall that Abraham was promised protection from enemies and blessings for his friends so that one day he would share God's blessings with all the nations of the earth. And more than this, throughout Abraham's stories, we see that God used Abraham now and then as the instrument of his blessings to all kinds of people. When the original audience of Genesis learned of these events, they had many opportunities to reflect on events in their day. They found guidance for the ways they were to serve as God's instruments of blessing to the world as they encountered different groups of people. They could be sure of God's protection against enemies and they could move forward with efforts to spread the blessings of God's kingdom to their neighbors. In much the same way, we Christians today should apply this motif to our lives. We too can have assurance of God's protection and we can find encouragement to be a blessing to all nations of the earth by extending God's kingdom to the ends of the earth. In this lesson on the modern application of Abraham's life, we have explored how the chapters in Genesis devoted to the patriarch are relevant to our world today. We noted first that a Christian approach to this part of the Bible draws attention to Christ as the great seed of Abraham. It looks for ways that Christ fulfills the motifs we discover in Abraham's life. But beyond this, we also looked at how the life of Abraham applies to the church, the corporate seed of Abraham. How men, women and children in Christ are to live according to the teachings of this part of the Scriptures. As we look more closely at the life of Abraham in Genesis, we will have many opportunities to apply the Patriarch's life to our lives today. We will find that Moses' account of Father Abraham not only draws our hearts toward the patriarch, but also toward Christ the seed of Abraham, and toward the wonder that in Christ we too are Abraham's children and heirs of the promises given to Abraham.